Some people think “classic” and “stylish” are at opposite ends of the spectrum, i.e., traditional versus modern. However, some classics never go out of style, like two-seater sports cars and the basic black cocktail dress. 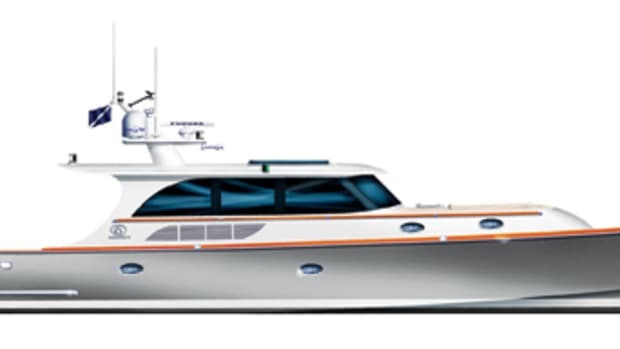 Among the ranks of these durable classic styles is the raised-pilothouse motoryacht. 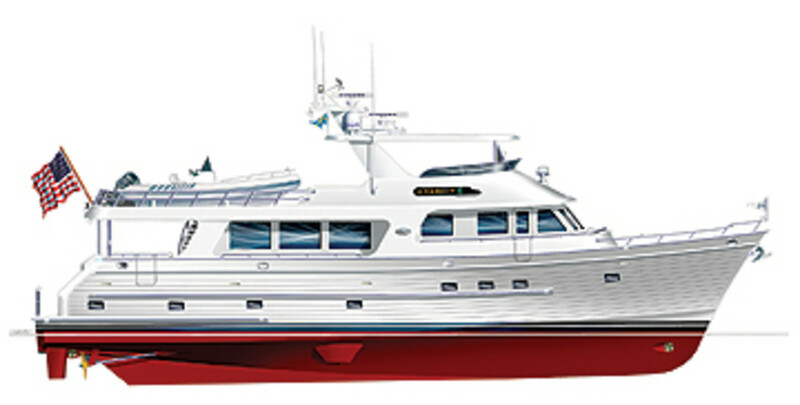 It’s a timeless configuration that endures because it simply looks the way a yacht should: generous bulwarks to protect the foredeck, walkaround side decks combined with a Portuguese bridge to offer protected access along her length, and an elevated main helm station for good sightlines underway. The flying bridge is icing on the cake. 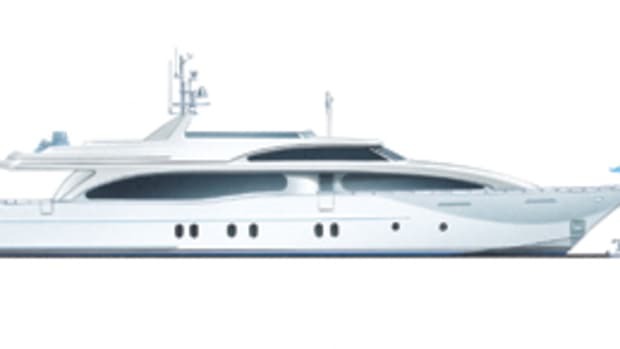 So it’s understandable why the next model from Outer Reef Yachts is a raised-pilothouse configuration. But what’s notable is the way in which the builder has implemented the concept. 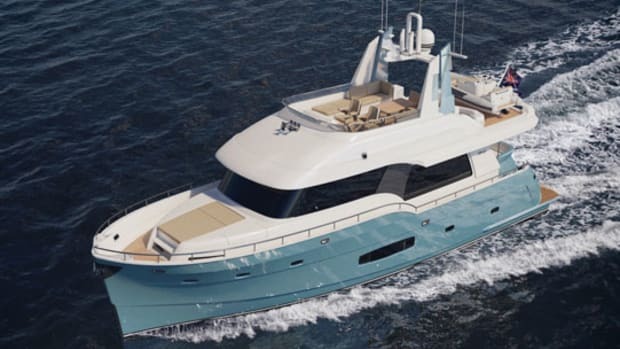 The semidisplacement hull form has a tight-radius lower chine and hard upper chine/spray knocker that should allow the 80 to run efficiently throughout her speed range. Moreover, the wide upper chine/spray knocker should serve as an effective damper to reduce roll in a seaway. While twin 800-hp Caterpillars are standard, options range from twin 1,000-hp up to twin 1,650-hp diesels. 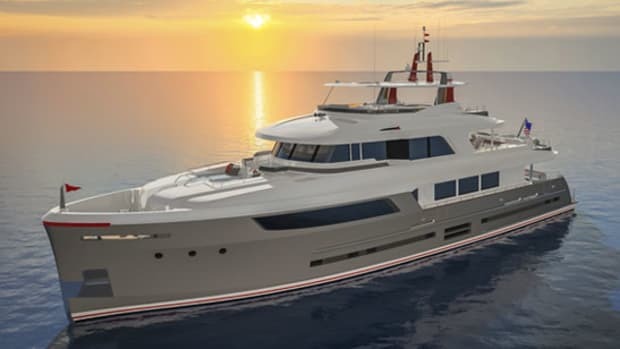 Her layout is tailored to suit a cruising couple, with an exceptionally spacious master suite amidships accessed by a private stairway from the saloon. 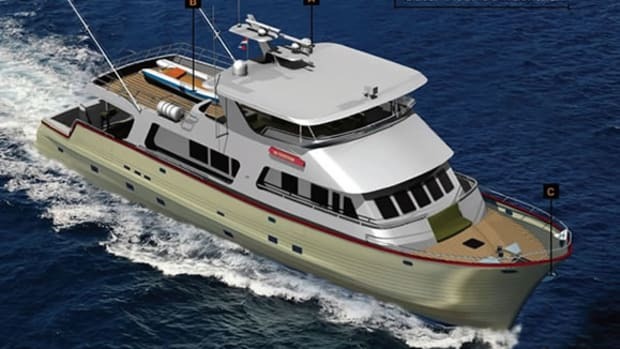 A second stairway from the pilothouse leads down to the two guest staterooms forward. 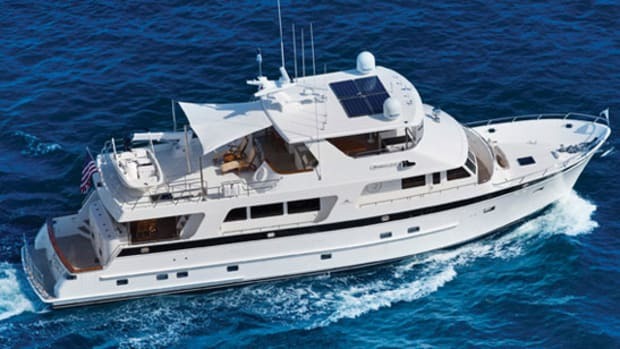 Aft of the machinery space is a generous crew stateroom with double berth, a private head, galley and lounge area, a utility room, and direct access to the engine room. The main deck arrangement is simple and uncluttered—and faithful to the genre. 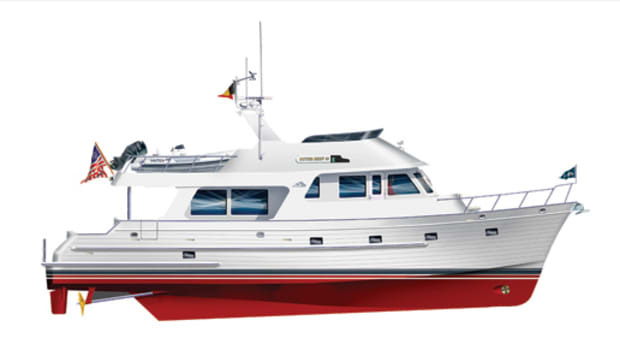 Forward, the pilothouse offers a single centerline helm seat, so the captain can easily reach either side door if required. Guests can enjoy the passing scenery from a settee. 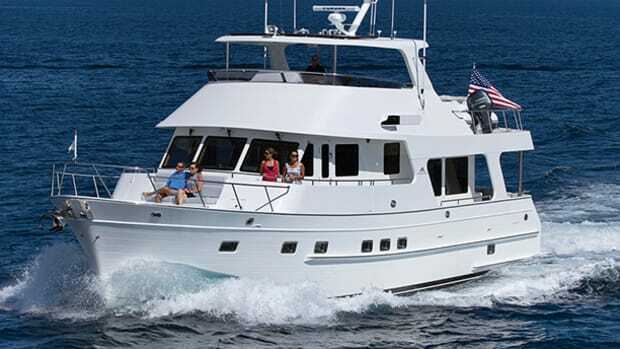 Amidships, the U-shape galley boasts household-size appliances with plenty of cabinets and countertop space. The simple, spacious saloon has freestanding furniture, so the area should feel homier. 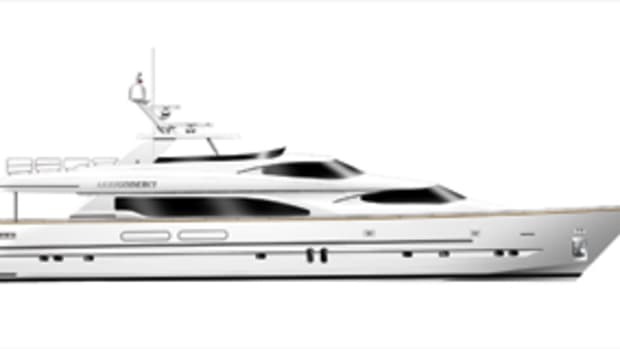 Understated and well executed, the Outer Reef 80 embodies the essence of the classic raised pilothouse.